Legendary NBC News correspondent and author Tom Brokaw will receive an honorary degree from Air University on Nov. 14, according to Maxwell Air Force Base Public Affairs. Bruce Murphy, vice president for academic affairs at AU, said Brokaw represented journalists who have made a commitment to telling the military story of American citizens to serving their country. 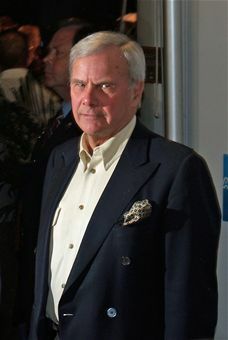 For 21 years, Brokaw served as anchor and managing editor of “NBC Nightly News,” according to msnbc.com. He also is the author of the the best-selling book “The Greatest Generation,” in which he tells the stories of the men and women who became heroes during World War II. Anyone can submit a nomination for an honorary degree through the AU academic office. Each year the AU board of Visitors receives five to six nominations. The board also contributes its own suggestions. The board makes a recommendation to the university commander and president, who approves the selection, according to Maxwell PA.